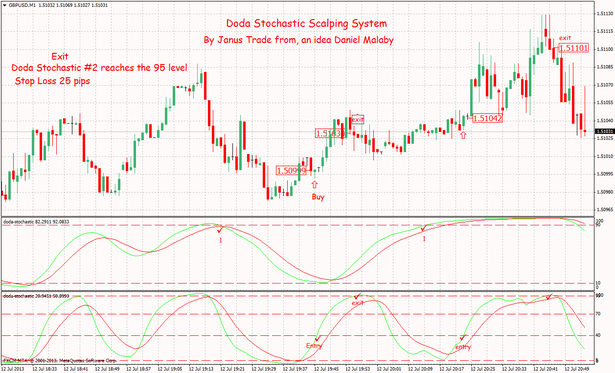 This Scalping system is based on Doda Stochastic but is inspired from un scalping system of Daniel Malaby. 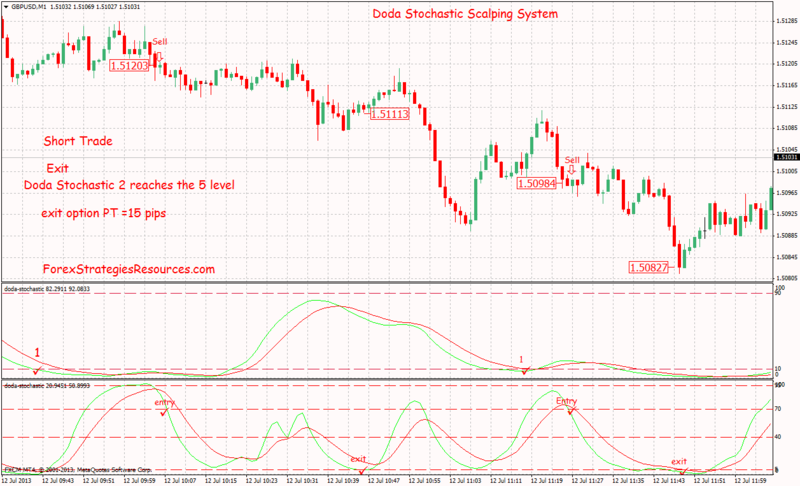 Doda Stochastic indicator is Stochastic indicator with less noise. Stochastic Doda is an evolution of the standard stochastic but it is necessary to study the setting. Doda stochastic is the best of the standard stochastic. I recommended as Stochastic indicator standard : Doda Stocastic indicator. Markets: forex, futures, CFD, Commmodities and Stocks. Second Doda Stochastic (fast 8,13,9),add levels: (90-70-40-5). Criteria #1: Doda Stochastic #1 must be 95 or above. helps you achieve this objective. You wait for Doda Stochastic #2 crosses upward 40 level and you enter a long trade at that exact moment. reaches the 95 level, whichever occurs first. Profit Target fast 15 pips. are now in the trade. E- Profit Target 15 pips. a short trade at that exact moment.